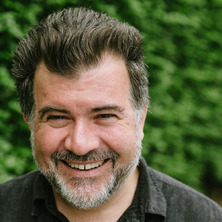 Dr Rob Pensalfini received his PhD in theoretical linguistics from the Massachusetts Institute of Technology in 1997, with research based on his fieldwork in the Barkly Tableland of Australia's Northern Territory. He then worked as a Visiting Assistant Professor at the University of Chicago for two years prior to commencing as a Lecturer in Linguistics at the University of Queensland in 1999. He was promoted to Senior Lecturer in Linguistics and Drama in 2003, and to Associate Professor in 2016. He has published several books and numerous articles in both linguistics and drama, including ground-breaking work on the performance of Shakespeare in prisons. He leads Australia's only ongoing Prison Shakespeare program and is the Artistic Director of the Queensland Shakespeare Ensemble. The structure and use of Australia's indigenous languages, particularly morphology, phonology and syntax. Language documentation and description. Language endangerment and maintenance. The performance or study of Shakespeare's dramatic works in prisons, typically faciliated by external artists. The impacts and challenges of such projects and the history and development of the phenomenon. Use of the voice and body in acting. Performing rhetoric and verse. Pensalfini, Rob (2017) Bogga. The University of Queensland, Queensland Shakespeare Ensemble. Pensalfini, Rob Jingulu texts and dictionary: An Aboriginal language of the Northern Territory. Canberra, A.C.T., Australia: Pacific Linguistics, 2011. Pensalfini, Rob A Grammar of Jingulu, an Aboriginal Language of the Northern Territory. The Australian National University, Canberra ACT: Pacific Linguistics, 2003. Pensalfini, R. (2015). Jingulu. In Nicola Grandi and Livia Kortvelyessy (Ed. ), Edinburgh Handbook of Evaluative Morphology (pp. 416-422) London, United Kingdom: Edinburgh University Press. Pensalfini, Rob, Guillemin, Diana and Turpin, Myfany (2014). Editors' introduction. In Rob Pensalfini, Myfany Turpin and Diana Guillemin (Ed. ), Language description informed by theory (pp. 1-13) Amsterdam, Netherlands: John Benjamins Publishing. Pensalfini, R. J. (2006). Configurationality. In K. Brown (Ed. ), Encyclopedia of Language & Linguistics 2nd ed. (pp. 23-27) UK: Elsevier Ltd.
Laughren, Mary, Pensalfini, Rob and Mylne, Tom (2005). Accounting for verb-initial order in an Australian language. In Carnie, Andrew, Harley, Heidi and Dooley, Sheila Ann (Ed. ), Verb First: On the syntax of verb-initial languages 1st ed. (pp. 367-401) Amsterdam: John Benjamins Publishing Company. Pensalfini, R. J. (2005). Kriol (Roper River Creole). In P Stranzny (Ed. ), Encyclopedia of Linguistics 1st ed. (pp. 585-587) New York: Fitzroy Dearborn. Pensalfini, Robert (2001). On the Typological and Genetic Affiliation of Jingulu. In Simpson, Jane, Nash, David, Laughren, Mary, Austin, Peter and Alpher, Barry (Ed. ), Forty Years on: Ken Hale and Australian languages (pp. 385-399) Australian National University, Canberra: Pacific Lingustics. Pensalfini, R. J. (2000). Encyclopedia-lexicon distinctions in Jingulu grammar. In Bert Peeters (Ed. ), The Lexicon-encyclopedia interface (pp. 393-431) Oxford: Elsevier. Pensalfini, Rob (2017) Bogga. The University of Queensland, Queensland, Queensland Shakespeare Ensemble. Pensalfini, Rob (2016) Music and Madness. The University of Queensland, Brisbane, Queensland, Queensland Shakespeare Ensemble and UQ. Pensalfini, Rob (2016) Twelfth Night. Brisbane, Australia, Queensland Shakespeare Ensemble. Pensalfini, Rob, Sanderson, Leah, Franklin, Jo and Dekker, Kat (2014) A Midsummer Night's Dream - Shakespeare Prison Project. Southern Queensland Correctional Centre, Gatton, QLD, Australia. Pensalfini, Rob, Kosch, Angel, Franklin, Jo and Sanderson, Leah (2013) The Comedy of Errors. Gatton, QLD, Australia, Southern Queensland Correctional Centre. Pensalfini, Rob (2013) A Midsummer Night's Dream. Brisbane, Queensland, Queensland Shakespeare Ensemble. Pensalfini, Rob (2012) The Two Gentlemen of Verona. Brisbane, Queensland, Queensland Shakespeare Ensemble. Pensalfini, Rob, Edwards, Gavin, Tofteland, Curt, Heard, Emma, Trnka, Irma and Pensalfini, Anne (2011) Shakespeare in prison. Ironbark, QLD, Australia, Borallon Correctional Centre. Pensalfini, Rob (2011) Re-imagining the actor’s quartet. Mosaic : A Journal for the Interdisciplinary Study of Literature, 44 1: 65-87. Barry, Jane, Hoey, Aisling, Pensalfini, Anne, Pensalfini, Rob and Verbraak, Liz (2010) Macbeth. Ironbark, QLD, Australia, Borallon Correctional Centre. Carne, Andrea, Kosch, Angel, Pensalfini, Anne, Pensalfini, Rob and Small, Belinda (2009) Julius Caesar. Ironbark, QLD, Australia, Borallon Correctional Centre. Pensalfini, Rob (2009) Not in our own voices: Accent and identity in contemporary Australian Shakespeare Performance. Australasian Drama Studies, 54 142-158. Pensalfini, Robert (2008) 'Speak what we feel, not what we ought to say' - Shakespeare and the capacity to sustain complexity. Words' Worth, 41 1: 16-29. Pensalfini, R. (2006) How the Voice Works. Drama Queensland Journal, . Pensalfini, Robert J. (2006) Shakespeare Prison Project (formerly known as Arts in Community Enhancement - ACE). Borallon Correctional Centre, Queensland Shakespeare Ensemble. Pensalfini, R. (2006) Theatre, Therapy, Theology, and the Dis-integration of the Human. Ignite journal, . Pensalfini, R. J. (2003) Part of Speech Mismatches in Modular Grammar: New Evidence from Jingulu. Linguistic Variation Yearbook, 1 209-227. Pensalfini, R. (2001) Part of Speech Mismatches in Modular Grammar. Linguistic Variation Yearbook, 1 209-227. Pensalfini, R. J. (2000) Hyperventilation in actor training and the myth of 'Oxygenation'. Australian Voice, 6 37-40. Pineapple as voice remedy: alternative or mainstream? Winkworth, A., Pensalfini, R. J. and Baldock, P. (2000) Pineapple as voice remedy: alternative or mainstream?. Australian Voice, 6 16-18. Pensalfini, R. J. (1999) The rise of case suffixes as discourse markers in Jingulu -- a case study of innovation in an obsolcent language. Australian journal of linguistics, 19 2: 225-240. Pensalfini, R. J. (2000). Optional disagreement and the case for feature hierarchies. In: Sabrina Billings, CLS35-2 The Panels. The Chicago Linguistics Society's 35th Meeting, Chicago, University of Chicago, (343-353). 22-24 April, 1999. Pensalfini, R. J. (1999). Suffix Coherence and Stress in Australian Languages. In: John Henderson, Proceedings of the 1999 Annual Conference of the Australian Linguistics Society. 1999 Annual Confernce of the Australian Lingiustics Society, University of Western Australia, Perth, (). 28th September - 2nd October, 1999. Pensalfini, Rob (1998). The Development of (Apparently) Onsetless Syllabification: A Constraint-Based Approach. In: Proceedings of the Chicago Linguistics Society. Chicago Linguistics Society Annual Meeting 1998, Chicago, (167-178). 1998. Jäger, Andreas and Pensalfini, Rob (2007). Introduction. , School of English, Media Studies and Art History, The University of Queensland. Pensalfini, Rob (2007). Verbs as Spatial Deixis markers in Jingulu. , School of English, Media Studies and Art History, The University of Queensland. Pensalfini, Rob (2003) Part Of Speech Mismatches in Modular Grammar: New Evidence from Jingulu. Pensalfini, Rob (2003) Towards a Typology of Configurationality. Pensalfini, Rob (2003) Verbs as Spatial Deixis Markers in Jingulu. Pensalfini, Rob (1999) Case Suffixes as Discourse Markers in Jingulu. An Investigation Using Primarily Visual and Aural Sources into the Ways in Which Shakespeare's Plays Have Been Performed in Australia. Unravelling the Linguistic Prehistory of the Gulf of Carpentaria Region.